There are something over forty artists and makers who have studios at Comercial Square. 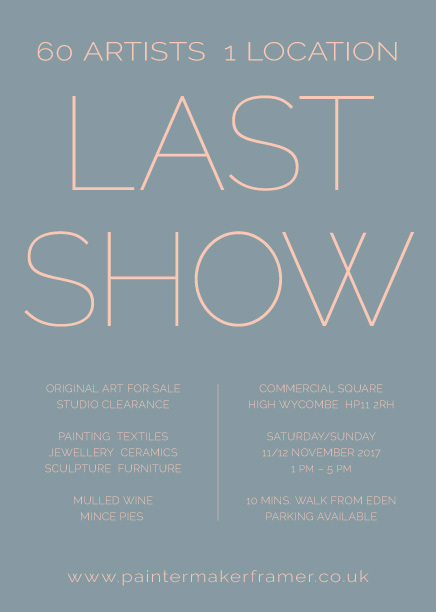 This is the last show at the site before we leave, and the studios and work-shops close forever. 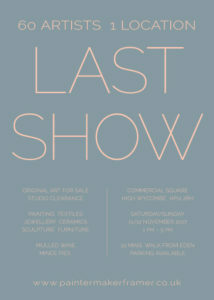 This will be a chance to see those hidden gems that nobody – perhaps including the maker – has seen for years.